A connected digital single market is one of the political priorities of the Juncker Commission, which supports the overall objective of creating growth and jobs. The Commission is committed to ensuring that the EU economy, industry and citizens take full advantage of digitalisation. 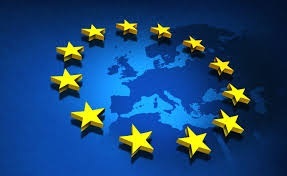 This is why, in 2015, the Commission adopted the Communication “A Digital Single Market Strategy for Europe”, with the main policy objectives to: (i) support digital infrastructure development; (ii) improve access to digital goods and services; and to (iii) design rules that foster technological development. Beside other sectors, new technologies are also changing the financial industry and the way consumers and firms access financial services. “FinTech” describes technology-enabled innovation in financial services, regardless of the nature or size of the provider of the services. Non-disruptive FinTech triggers incremental innovation and increases efficiency, often in mature markets, whereas disruptive FinTech results in more radical breakthroughs that can create completely new markets. Both can enhance the competitiveness of the EU economy. While technological innovation in finance is not new, investment in technology and the pace of innovation have increased significantly in recent years. Among other things, technological innovation is driving social networks, artificial intelligence, machine learning, mobile applications, distributed ledger technology (DLT)1, cloud computing and big data analytics. They give rise to new services and business models by established financial institutions, technology companies and new market entrants. FinTech involves the entire financial sector, including front, middle and back-office activities, as well as services for both retail and wholesale markets. Building on the single market, the European Commission promotes a thriving and globally competitive European financial sector that brings benefits to the EU economy and its society. New technologies can benefit both individual consumers and firms by enabling greater access to financial services, choice, efficiency, and a more competitive landscape. The financial sector should take advantage of the most cutting-edge technologies, while remaining financially sound, and safe for consumers and investors. FinTech should be able to offer solutions to increase cost efficiencies, address users’ complex needs and generate value for the economy, but in order to deliver, appropriate policies on important issues, such as access to technology, data standardisation and security, personal data protection and data management, need to be put in place. i. Technology-neutral to ensure that the same activity is subject to the same regulation irrespective of the way the service is delivered, so that innovation is enabled and level-playing field preserved. ii. Proportional, reflecting the business model, size, systemic significance, as well as the complexity and cross-border activity of the regulated entities. iii. Integrity-enhancing, as application of technologies to financial services should promote more market transparency to the benefit of consumers and businesses without creating unwarranted risks (e.g. market abuse, misselling, cyber security issues, systemic risks).